Need I really say more? These are silly they’re so good. Are you a Nutella fan? I go back and forth. As a kid I loved it, but as an adult I go through phases. I certainly don’t love it for breakfast like the commercials suggest – I’d rather peanut butter. My Other Half doesn’t really eat Nutella, and I had a big Costco jar of it. 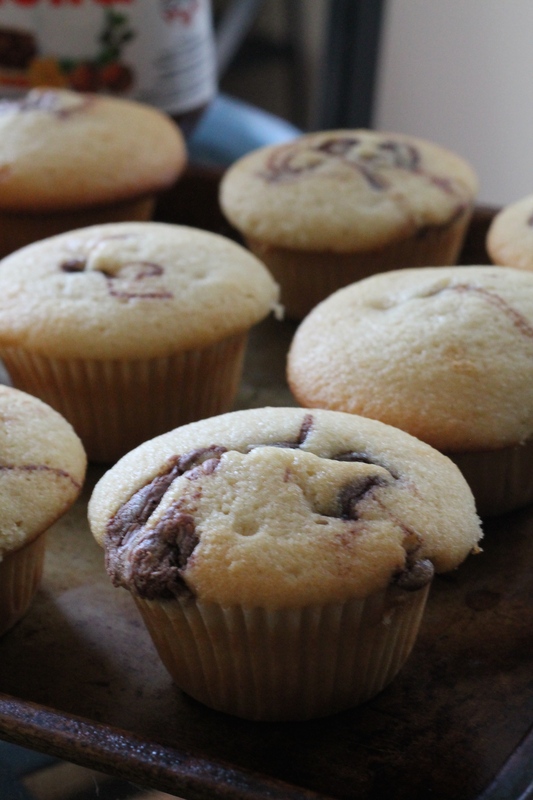 I was going to make Nutella cookies, but these sounded like a way better idea for book club. They were promptly gobbled up. 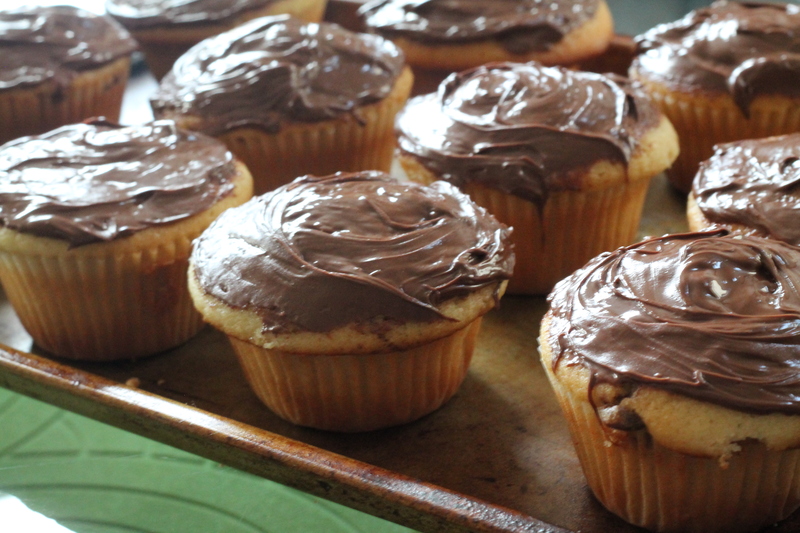 They photograph much better un-iced, but they taste sooo much better smothered in – wait for – more Nutella. You can’t go wrong. Chocolate and hazelnut fans, rejoice. Beat the butter, oil and sugar with an electric mixer until light and fluffy. Add the eggs and vanilla and beat until smooth. Stir together the flour, baking powder and salt and add half to the butter mixture and beat on low speed. Add milk and the remaining flour mixture and combine. 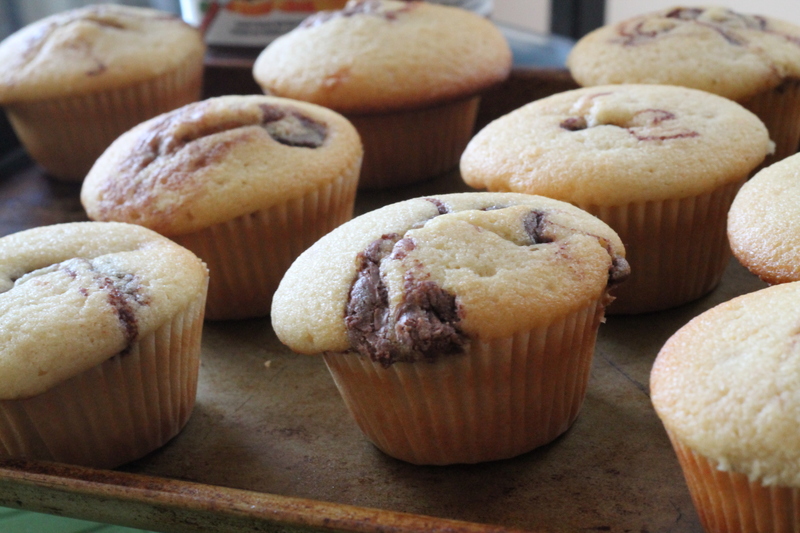 Drop the batter in 12 muffin papers. 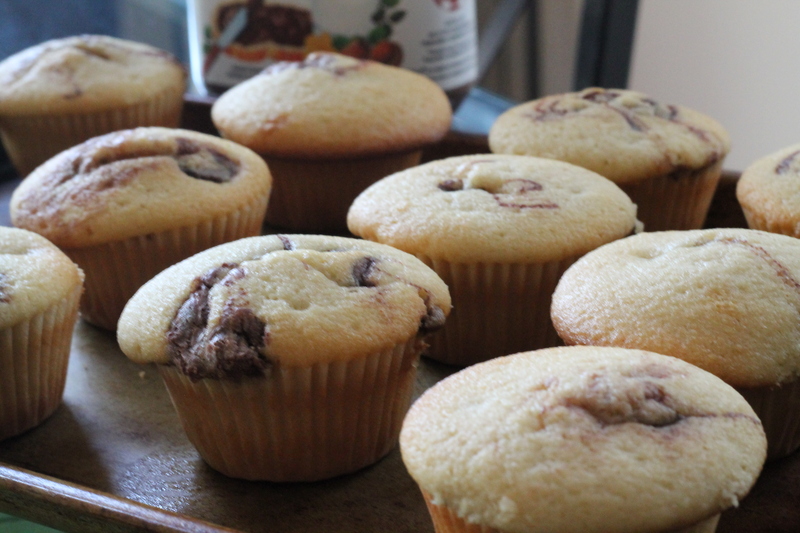 Warm half of the Nutella and drop it by the spoonful onto each, and then swirl it around. Bake at 350 degrees for about 27 minutes. Let cool (Nutella is really hot). 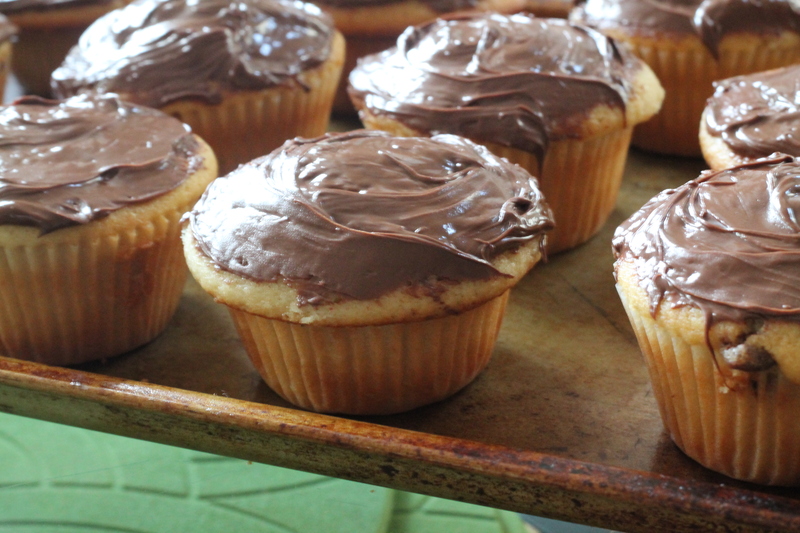 Use the other half of the Nutella to ice the cupcakes when cool.